World famous entrepreneur Arkadi Kuhlmann, known as the Steve Jobs of banking and founder of ING Direct Canada and ING Direct USA, is spinning his special brand of magic once again, this time in the form of red envelopes. So what does the ancient Chinese tradition of handing out money in little red envelopes on special occasions and a Silicon Valley startup have to do with the world’s foremost leader on banking? Simple. Electronic delivery of “red envelope” money via a mobile app. 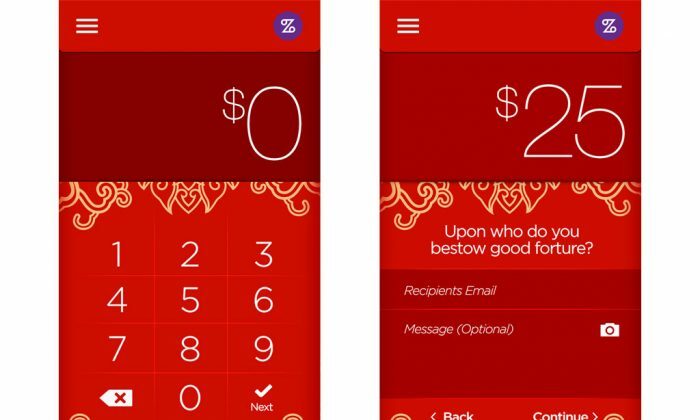 “Digital Red Envelopes make sending money mobile and enables family and friends to maintain relationships and important traditions by sharing Red Envelope gifts with anyone who has an email address,” Kuhlmann stated in a press release. ZenBanx, with an office in Redwood City, is Kuhlmann’s sixth venture in banking. Focusing on mobilizing money flow to keep up with the demands of an ever-itinerant society, ZenBanx enables people to hold, send, receive, and exchange multiple currencies via an online account. The custom of giving out red envelopes is still thriving in many places around the Bay Area with large Chinese populations such as San Francisco’s Chinatown. Many residents can be seen rushing to and fro purchasing red envelopes every New Year, stuffing them with crisp new bills and passing them around as children delight in the spectacle. Begun in the Qin Dynasty (221 B.C.–206 B.C. ), with elderly people threading coins on a red string to ward off evil spirits, this tradition can be seen in full swing today. Giving red envelopes during events such as New Year’s and weddings symbolizes wishes of good luck and prosperity for the receiver and protection from things such as old age and sickness. In California, starting from Jan. 27, people will be able to send money through ZenBanx’s Digital Red Envelope program to friends or families within the United States without a fee. Only the sender will need to have a ZenBanx account, which connects to a bank account to draw funds. He or she can send the electronic envelope via email. The interface of the peer-to-peer app is designed as a red envelope. The sender only needs to provide the amount to send, the recipient’s email, and an optional message—the app takes care of the rest. The recipient will need to answer a few questions to get the money directly deposited into his or her bank account. Kuhlmann founded ZenBanx in 2012. The red envelope is only a portion of ZenBanx’s vision. Later this year, ZenBanx will allow users to hold up to five currencies and exchange currencies and send money internationally.